Every semester at Midwestern, we host a Preview Day in order to display who we are as a school, and what we offer prospective students for their seminary education. Preview Day encourages me as I get to interact with future students and sense who the Lord is calling to study here. This year’s spring Preview Day did not disappoint. I heard the stories, sensed the passion, and felt the conviction of another wave of students coming to Midwestern Seminary for theological education. What are the Seminary’s Confessional Commitments? Every student should know what he can expect to be taught, and he or she should know that from the beginning. Does the institution have a confessional statement? Is it actually used as a functioning instrument of accountability? What does the seminary believe and teach about the Bible, the gospel, human sexuality, marriage, and gender? As a prospective student, does the confessional statement align with your convictions? Is the seminary positioned to undergird, not undermine, your faith? Midwestern Seminary is unapologetically a confessional institution, happily teaching in accordance with, and not contrary to, the Baptist Faith & Message 2000. Additionally, our professors ink their names to the Chicago Statement on Biblical Inerrancy and the Danvers Statement on Biblical Manhood and Womanhood. What is the Seminary’s Purpose? Why does the seminary say they exist? Can you state plainly its calling, and does that calling resonate with yours? If you do not know why the seminary exists, the seminary might not know why it exists either. Every seminary worthy of your consideration ought to be about the business of serving the church. At Midwestern Seminary, we have ensconced that front and center. We exist for the Church. For the Church is our guiding vision, shaping every decision we make; every position we fill; every event we host; every initiative we launch; and, most definitely, every class we teach. A seminary is not required to have “for the church” as their official mission statement, but they must be a pre-committed institution—pre-committed to the church of the Lord Jesus Christ. Who does the Seminary Serve? This question is similar to the previous one. Every seminary has a constituency—someone they look to please and under whose oversight they serve. For some seminaries, that might be an active alumni base, a generous group of donors, or some other subset of their denomination. When you figure out who they serve, that will tell you much, much more about the school. It will tell you the type of faculty they will hire, the campus culture they cultivate, the events they’ll likely sponsor, and a host of other things. In North America, higher education costs are skyrocketing. This is true in every realm of study, including theological education. Thankfully, due to the Cooperative Program, Southern Baptist seminaries remain affordable, especially when compared to other evangelical institutions. Yet, even for institutions that are generously supported by their denomination, you should carefully review what they charge. What are their tuition and fees? What is the cost of living on or near campus? Are there hidden fees buried within their catalogue? These are urgent questions because they will impact how much you have to work during seminary, how quickly you can complete your degree, and the extent to which you may have to take on indebtedness. Is the School Spiritually Vibrant? Admittedly, this is a difficult assessment to make from a distance, but it is an important question to consider. Is the seminary a dry place, which so prizes academic achievement that the spiritual disciplines are not upheld and celebrated? Is there a warmth and vibrancy to chapel hour? Is prayer, Bible-intake, worship, evangelism, personal holiness, and other spiritual disciplines cherished? Do you get a sense that godly men are leading and attempting to build a God-honoring institution? Will There Be Ministry Opportunities? Every seminary worth its salt will have formal, local-church expectations for its students. Minimally, this will include active church membership. Yet, students ought to desire much more than this. The best ministry preparation couples classroom instruction with the weekly local-church service. Therefore, you should not only look for a healthy seminary, but healthy churches near the seminary in which you can plug in and, perhaps, enjoy a paid ministry position. What is the School’s Faculty Like? It is impossible for a seminary to rise beyond its faculty. They are entrusted with the sacred responsibility to pass on the truth of Scripture from one generation to the next. Therefore, you should ask yourself, who teaches there? What are they known for? Would you like to study with them? Will they be accessible to you? Are they willing to invest in you personally? This is more than a rundown of who has published what (though writing is an essential part of a faculty member’s work). If theological education was merely about publications, you could just buy books, read them, and save yourself a lot of time and money. Rather, does the faculty actually invest in students? Are internships available? Are leading professors present and accessible? Does the faculty view students as an interruption to their calling or as their calling? Seminary is so much more than the formal teaching that takes place in the classroom. Yes, ministry preparation is taught—but it is also caught. This takes place over coffee, in chapel, at campus events, in student housing, and in countless other venues. Is the campus community one in which you can envision yourself growing in Christ and in your ministry pursuit? This is more than an assessment of amenities and events, but what is the vibe on the ground? Is it a cheerful institution? Are the faculty, staff, and students happy to be there and encouraged about their future? Is the seminary a natural place of encouragement, organic discipleship, and group synergy toward kingdom matters? Is the Great Commission Celebrated? Lastly, is personal evangelism and the Great Commission a box to be checked or is it actually an essential part of the seminary community? Does the institution long for the Lord to call out workers of the harvest? Are outreach opportunities and international mission trips front and center? Does the faculty engage in personal evangelism and let it shape their classroom instruction? Do you sense a burden for lostness, a love for the community, and a heart for the nations? If not, you will probably be best served by another seminary. Ministry is too high a calling to enter it ill-prepared, and seminary is too serious a decision to choose lightly. There are other considerations one should make in choosing a seminary, but these nine are essentials. 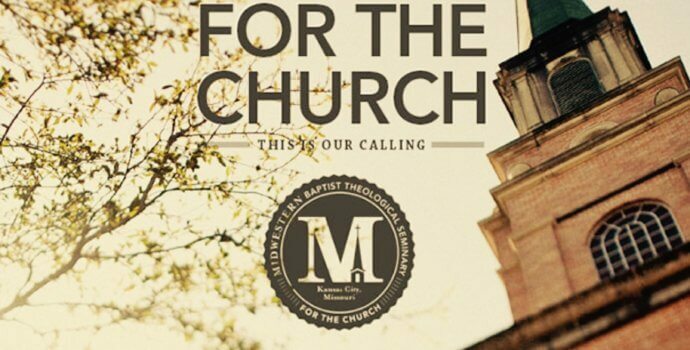 I am grateful to God for the institution that he as entrusted to me—Midwestern Baptist Theological Seminary. By his grace, these nine questions can all be answered positively. As well they should, the needs of the church are too urgent for any other outcome. Do not enroll in a seminary without carefully considering these nine points. Nothing short of your ministry calling—and the church of the Lord Jesus Christ—is at stake. My life and ministry of 49 years were shaped by the Thelogians who taught and challenged me. Stamp the Image of Christ deep on their lives while they are with you.